Does Shanghai have a beach? 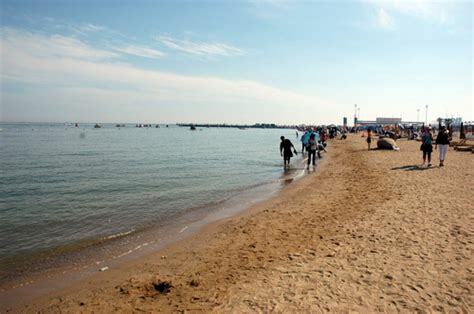 The artificial beach in Fengxian covers an area of 80,000㎡, and there are many entertainment facilities like water bike and it also offers 4D cinema by the sea. It is located in Jinshan district, a suburb of Shanghai. It's an artificial beach with all the beach necessities. I heard that sand on the beach was shipped from beaches in Hainan. 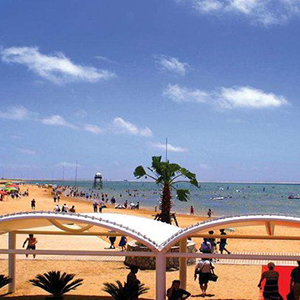 San Jia Harbor Beach covers more than 10,000 square meters, it's suitable for outdoor activities, and it offers beach barbecue, campfire party, etc.